Discussion in 'New member introductions' started by Russf123, Jan 29, 2011. That looks very nice, congrats! 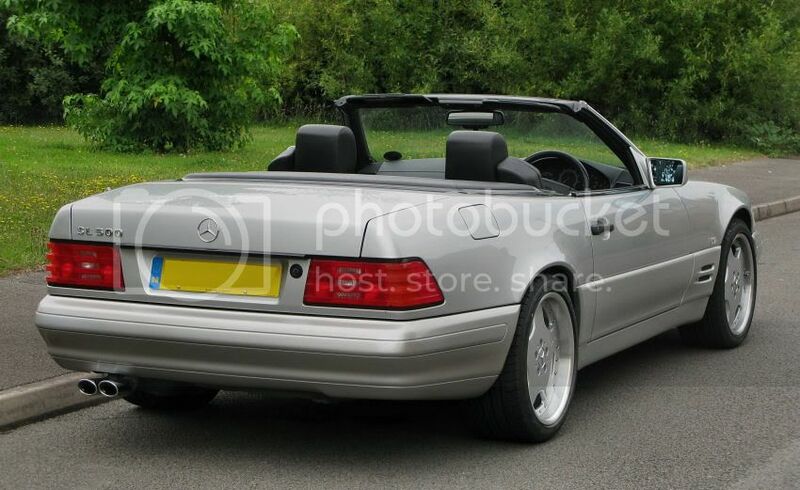 I got my R129 instead of a TVR (a case of head ruling heart) and never regretted it. The only thing I'd like to tweak on mine now would be a little more exhaust noise. Already removed the centre muffler and fitted an AMG back box but it's not quite there yet! For wheels, I'm biased but the 2-piece 18" staggered AMGs (my setup now) really look the business on this car IMHO. Hard to find for sensible money though. I agree on the exhaust note. My TVR just sounded so feral and this SL is an absolute polar opposite and really subdued. I have found myself opening the window to try and hear the V8 burble but the bloody thing is so quiet! 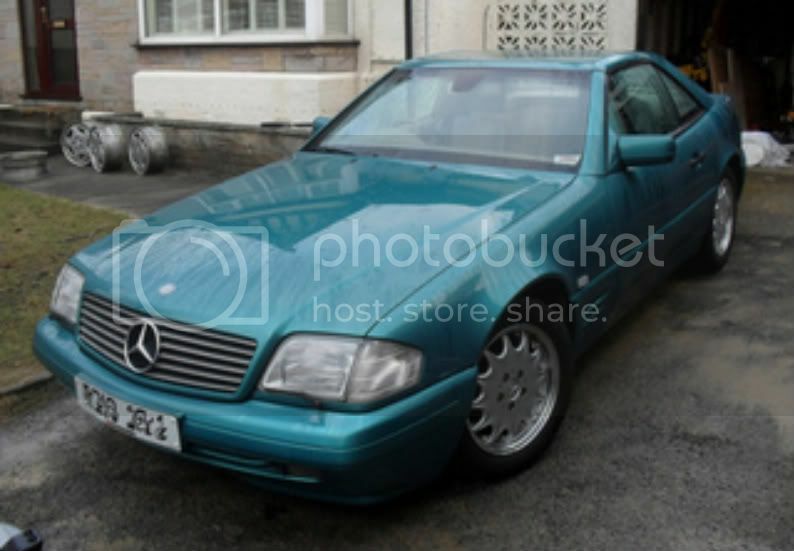 Am going to try and get the staggered AMG's but I can see that its going to be a bit of a journey to get some. You can get the centre muffler removed for not much money, and that definitely helps a bit with the exhaust note. I'm thinking partial de-cat next (there are 4 in total - 2 each side - and I think the secondaries can go without MOT problems). Check your insurer is OK with mods. though. Its so beautiful and a nice colour too, well done. Have just whacked them on ebay as I havent a clue what they are worth. I would not know whether to ask for £100 or £500. What do the "collective" think they are worth? 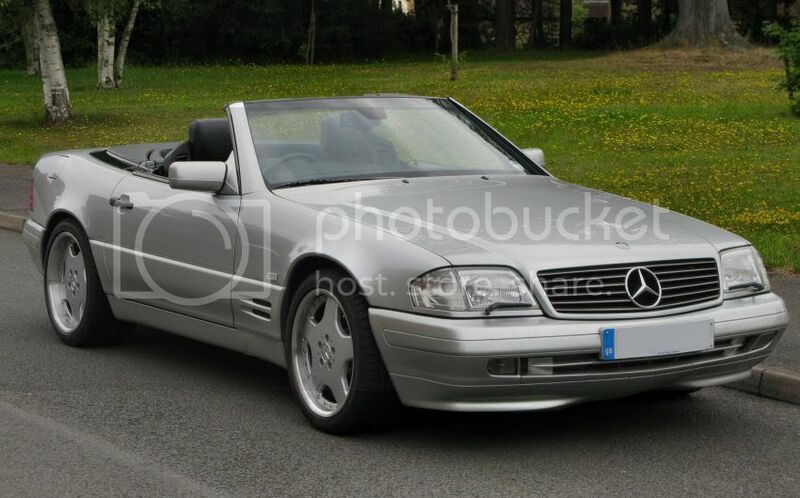 That looks great, I've never seen a R129 SL in that colour before. If you want staggered 18's, but are willing to accept non-AMG (and therefore without the subsequent pricetag), I've got a set of 18" OZ Opera split rims I'm getting rid of. It didn't make that much difference when I ran 18's previously, was still really comfy. Located in West Berkshire, they've got nearly new PZero's on them. I'll try and get some pics soon, the lacquer has gone on the lips but they aren't massively corroded so it's an easy polish job to get them looking as new; I even have the tool to split them. I just haven't had time to deal with it and there are other jobs to do on the SL first.